This site specific project took place in Adamstown, a suburban ‘new town’ in South County Dublin which has been in development since 2005. The artists identified this greenfield site which was due to become the ‘commercial or district town centre’ of Adamstown but had been fenced off and inaccessible to the local community. The Central Field art project responded to this particular site and context during this interim phase of development. Over a one year period the artists negotiated with Castlethorn Development to gain access and to work onsite. In February 2018 the artists moved a container studio onsite and negotiated permission to put a gate in the boundary fence opening it up to the local community. For a period of six months from February to July 2018 the artists were in residence onsite. 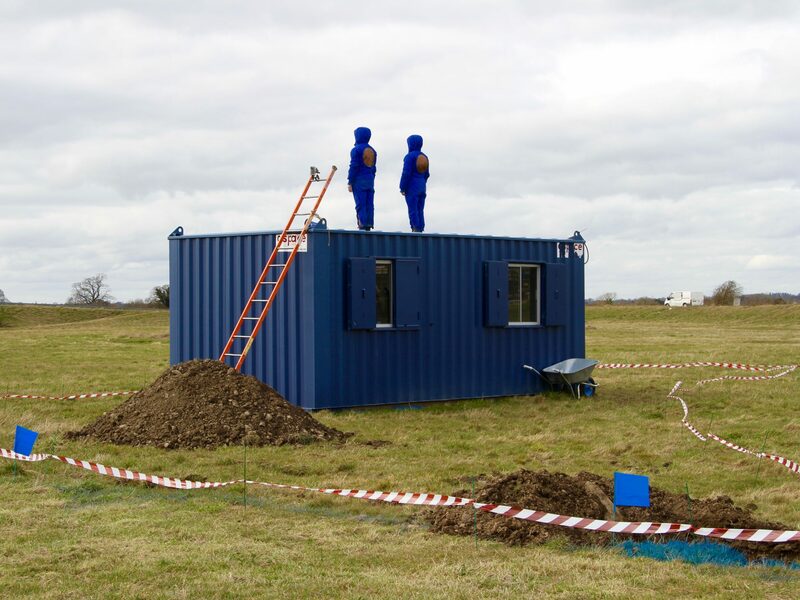 During March 2018 the artists staged a Live Land Artwork where they made daily, onsite performances in response to the land and worked towards creating a large scale land artwork using discarded materials from the Adamstown development with access to machinery, labour and expertise from the adjacent, active, building site. Over 6 months the artists produced a series of live and immediate responses, actions, earthworks, public events, workshops, performances, interventions, gatherings and activities. They collaborated with local residents, local schools and community groups. The aim was to make this land a place for gathering and to explore concepts of transition and potential land use, private and public ownership, intrinsic value, materiality, responsibility and our individual and collective agency. The land artworks are carved into The Central Field and will be there until the land is developed into the commercial district centre.